• The podcast TRS-80 Trash Talk # 28 is out now. 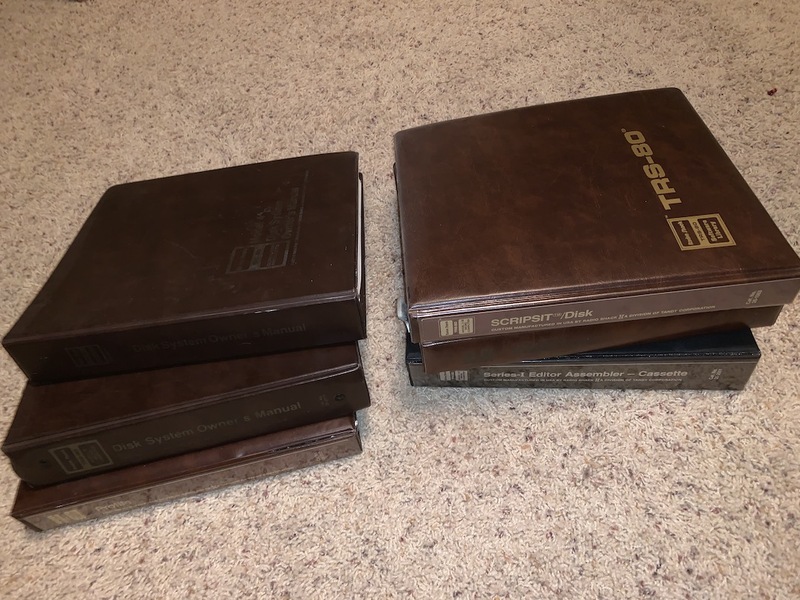 In this episode, the Trash Talkers discuss how to buy and sell TRS-80s. Using their wealth of knowledge about the Tandy collector’s market they go in-depth on tips and techniques to use at live auctions, eBay, Craigslist and other marketplaces. Whether you’re buying, selling or doing both, you’re likely to learn quite a bit from their experience. You can download or listen at http://www.trs80trashtalk.com/. After almost 5 (!) months, I have completed preparing a relevant (or as relevant as it can be) screenshot for every single entry in the Model 1/3/4 archive. That is over 17,000 screenshots. This entailed running every single program to make sure it worked; a task made difficult by the fact that different programs run on different models, and different DOS’s, and may even be a different version of BASIC (ZBASIC, NewBASIC, GBASIC, BASICG, SuperBasic, etc). It was a project long in the coming. 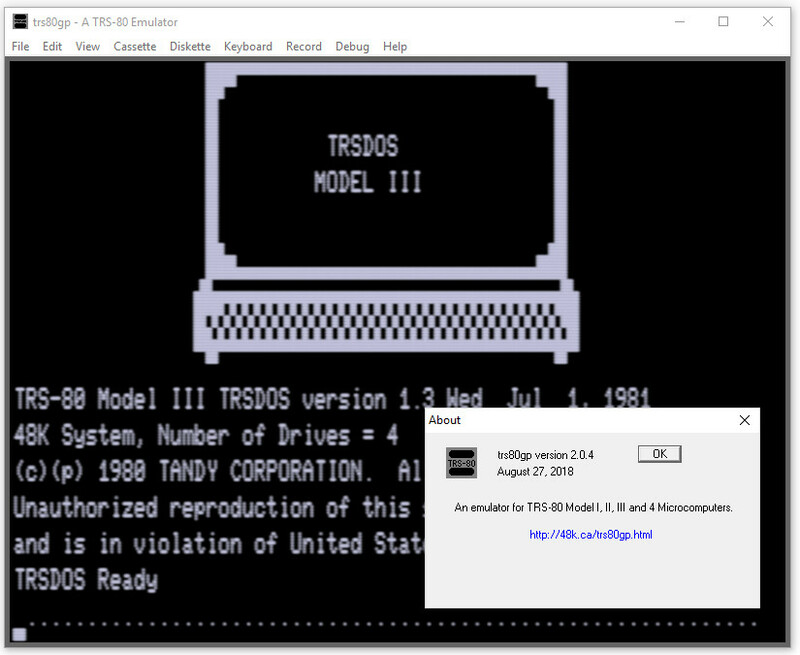 I would like to give a special shout-out to George Philips for tweaking his TRS80GP emulator to assist in this effort. • The LDOS command to set up a ramdrive in DCT format is SET (DRIVE=4,DRIVER="MEMDISK/DCT"). 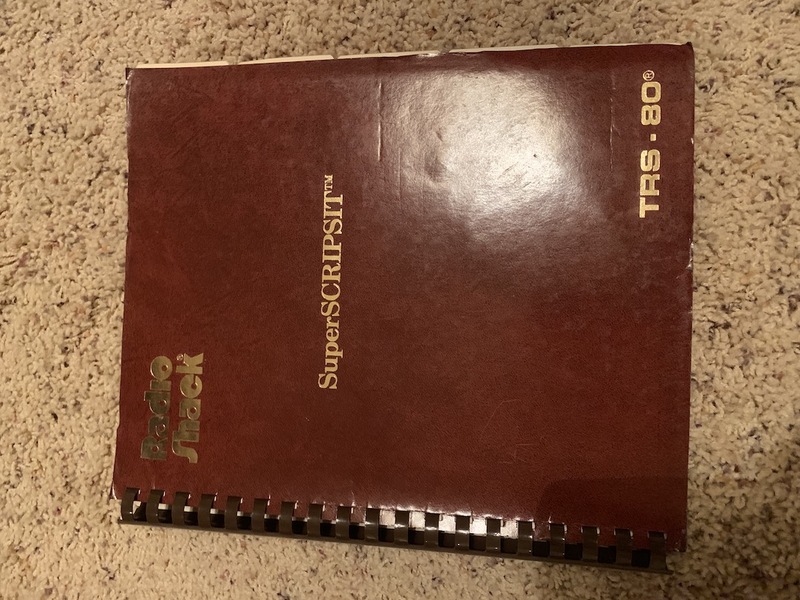 • TRS80GP can do everything that Dave Keil’s DOS emulator’s could, but without needing to run DOSBOX! Joe Rounceville has been designing and building peripherals for the Model I which he wants to share with everyone. First is TRS80HDD. It is a way to run TRS-80 Model I disks from a SD card. Similar to a MISE but far less sophisticated. Schematics, instructions, and background can be found on his GitHub repository https://github.com/calphool/TRS80HDD. He advises that all parts are currently attainable at Mouser Electronics, the edge adapter from DigiKey, and the schematics can be sent to allpcb.com for creation of a PCB. Second is TRS80GS. It is an expander for a TRS-80 Model that includes Texas Instruments video and audio chips to permit the Model I to do color graphics and have 6 tonal voices and 2 drum voices. It also supports Atari/Commodore joysticks. Schematics, instructions, and background can be found on his GitHub repository https://github.com/calphool/TRS80GS. Thanks for keeping the TRS-80 alive, Joe! 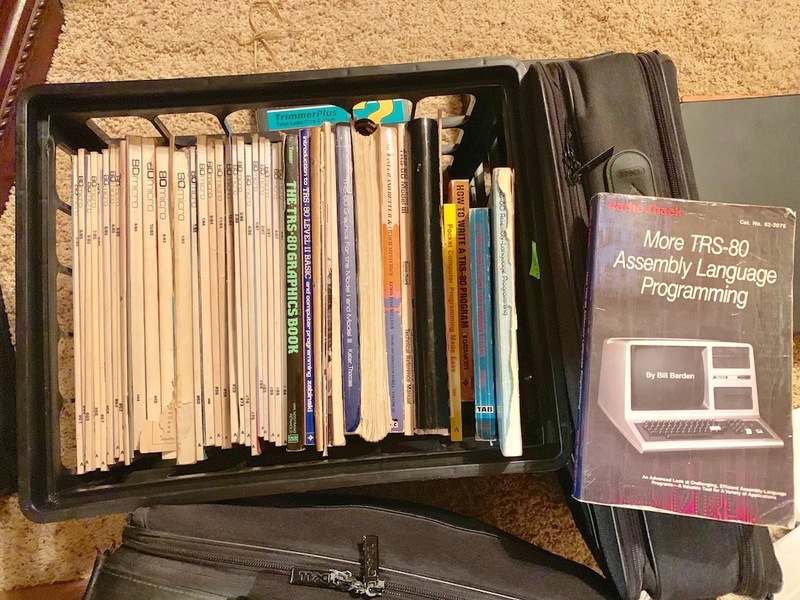 A site visitor located in New Braunfels, Texas (central Texas, between Austin and San Antonio), has a bunch of magazines and original manuals to give away to a good home. Free for local pickup and he is willing to ship if you pay the cost of packing and shipping. I will relay messages sent to me in the order received. First come first served. Kyle Wadsten has released his interface boards for the Model 3 and 4 that allow plugging in modern keyboards into the classic TRS-80 Model 3 & 4 machines. There are two different board designs, one for USB keyboards and another for PS/2 input. What I find very intriguing and helpful is the ability to use the existing keyboard along with a modern keyboard at the same time. Kyle Wadsten’s NEWKEY/80 Arduino and custom board allow for a modern keyboards on your Model 3 & IV machines. 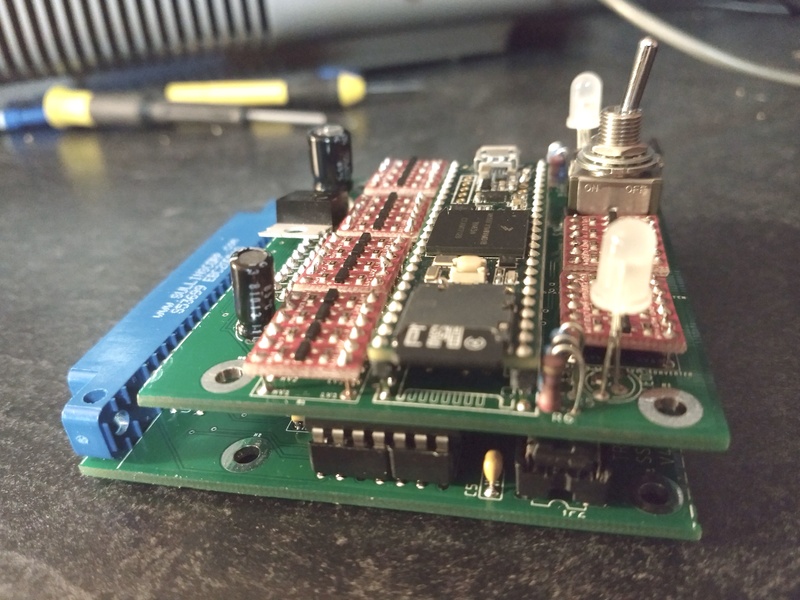 Considering a Level 2 ROM upgrade but need a circuit board holder? Luis Fernando Salazar posted on a TRS-80 Facebook group a link to his 3D-printed plastic mounts to hold L2 ROMs on thingiverse.com. He has a couple other printed replacement parts there too. With access to these files and a 3D printer you too can create these parts. • This weeks release of Ian Mavric’s new semi-weekly series called “This week in TRS-80” can be found Here. • The podcast TRS-80 Trash Talk # 26 is out now. You can download or listen at http://www.trs80trashtalk.com/. 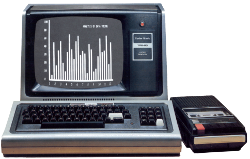 • Ian Mavric’s new semi-weekly series called “This week in TRS-80” can be found at Here. • Tandy Assembly is 2 weeks away. Info can be found at http://www.tandyassembly.com. George and Peter Phillips have released trs80gp version 2.0.4.